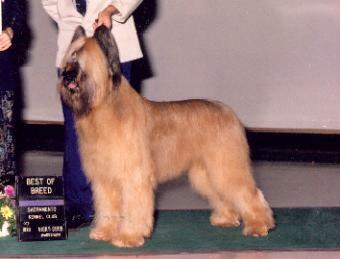 Sarek was an influential Briard and one of the most amazing Briards that we have ever met. He was so intelligent with THE most amazing sense of humor. He was MR. 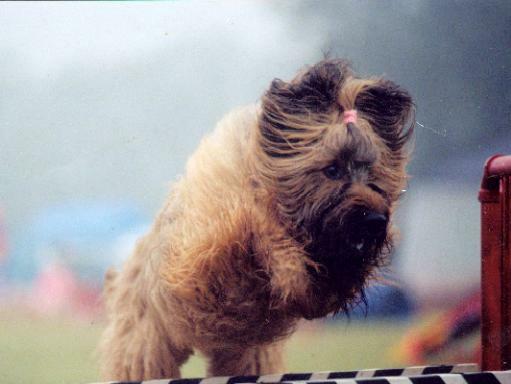 Personality Plus and his personality defines for us what it means to be "Briard." And boy--was he a "show dog." 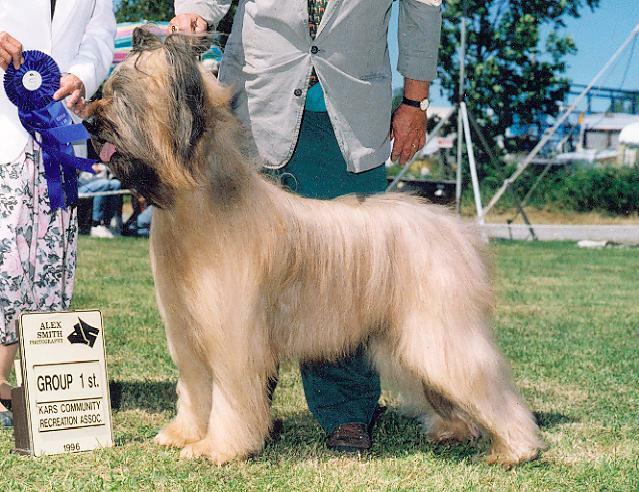 All of these were traits that he produced in his children including our first Briard and heart and soul, Minois. He is the father and grandfather of MANY influential Briards. We were all devastated by his loss in 2001. Sarek's legacy lives on in his many accomplishments and in the outstanding achievements of his children and grandchildren. (Look at the bottom of his OFA page which can be found here.) These descendents include several of the dogs that live with us here at Aladax including our important sire, True, who is a Sarek grandson, Goldie, a Sarek granddaughter, Dazzle and Knight also Sarek grand kids. 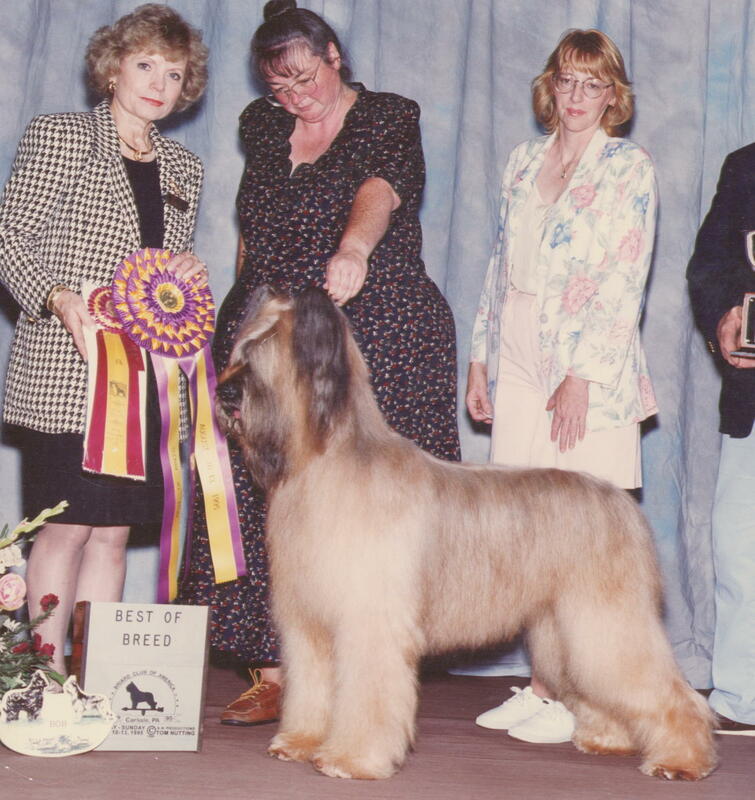 Sarek is one of the Top Producing Sires in the history of the breed with only 13 litters (with his record beaten by his son, Flynn--the number one show winning Briard.) These pictures and records hardly do Sarek justice. Perhaps only those who knew him can appreciate how grand and special he truly was. 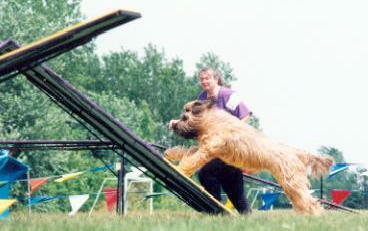 Sarek was also a Versatile Briard. While winning in the show ring at both the all-Breed and Specialty levels, he also had accomplishments in Obedience, Herding, Agility and Tracking. We at Aladax thank everyone involved with this boy for making him the great dog that he was and are so EXCITED to be expecting his litter with Secret. Going Best of Breed at 10 1/2 years old and the judge kept asking to take him slower!! Sarek's third Award of Merit at an ASBC Regional Specialty at 9 years old. 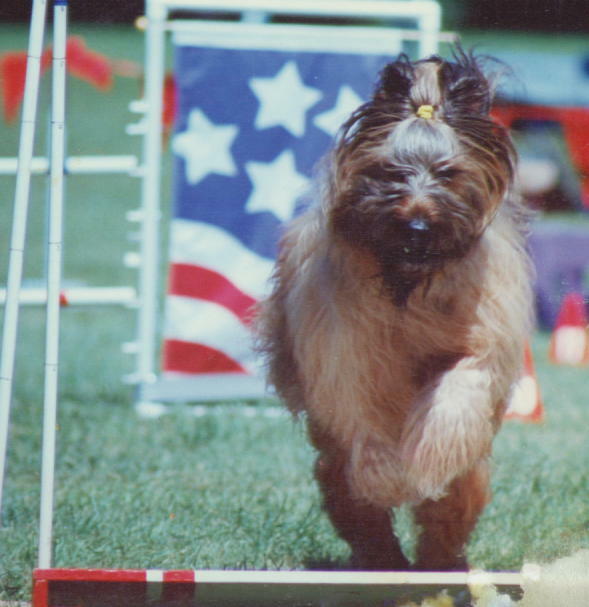 Winning the Stud Dog Class at the 1995 National with son Willie (Winner's Dog that day) and daughter Juste. (Not sure he enjoyed sharing the limelight with the kids that day. Sarek earned all of his agility titles between 8 and 11 1/2.